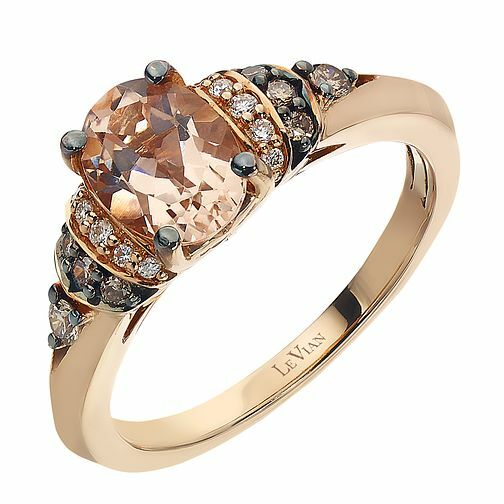 An elegantly luxurious Le Vian 14ct Strawberry Gold ring adorned with a sweet Peach Morganite , finished with tempting rows of Vanilla Diamond & Chocolate Diamond encrusted shoulders for added indulgence. Matching Band: 9627812. Le Vian 14ct Strawberry Gold Peach Morganite & diamond ring is rated 4.3 out of 5 by 7.